YOUR INTENSIVE CARE HOTLINE - DOES MY CRITICALLY ILL LOVED ONE IN AN INDUCED COMA OR WITH HEAD INJURIES FEEL MY PRESENCE? 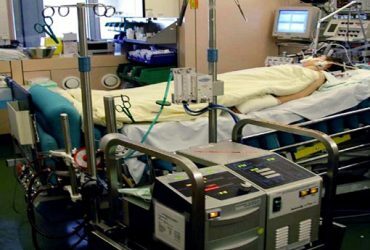 Hi, it’s Patrik Hutzel from www.intensivecarehotline.com , where we instantly improve the lives of Families of critically ill Patients in Intensive Care, so that you can have PEACE OF MIND, real power, real control and so that you can influence decision making fast, even if you’re not a doctor or a nurse in Intensive Care! In this week’s episode I want to answer one of your most burning questions that many of our readers and listeners have. I think that this is really one of the big mysteries for Families in Intensive Care and it’s a question that most people ask who have ever had a loved one critically ill in Intensive Care. There are probably very few occasions in life where you feel more frustrated, irritated, more out of control, powerless and vulnerable besides having a loved family member in Intensive Care. On top of that your critically ill loved one’s future is often uncertain and you don’t know what’s around the corner really. Therefore you and your Family are trying to stay afloat amidst the critical illness of your loved one. You have many questions running through your mind and one of those many questions is whether your critically ill loved one can feel your and your Family’s presence while they are in an induced coma or while your critically ill loved one is recovering from a severe head injury. 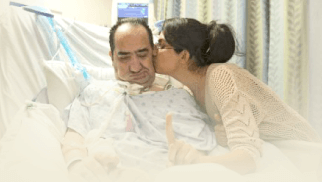 THE 10 THINGS YOU DIDN’T KNOW ABOUT SEVERE HEAD OR BRAIN INJURIES (INCLUDING TRAUMATIC BRAIN INJURY AND STROKE) IN INTENSIVE CARE THAT YOU MUST KNOW, ESPECIALLY IF YOUR CRITICALLY ILL LOVED ONE ISN’T WAKING UP! 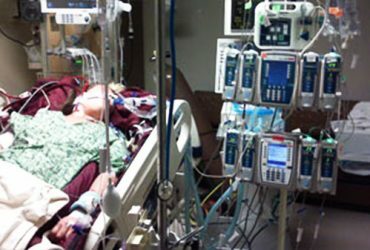 I do believe that even though your critically ill loved one may not remember the details of their stay in Intensive Care, holding hands and talking to your loved one can only support your loved one’s recovery and you should listen to your gut of what’s right in your specific situation. If your critically ill loved one is recovering from a severe head injury or a severe head trauma, things might take a bit longer and you, your Family and the Intensive Care team probably need to be very patient. 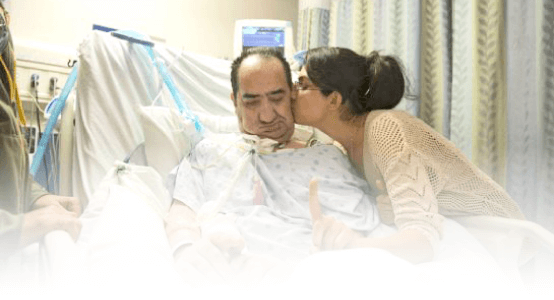 It can take a little while until your critically ill loved one is waking up. I have written a few related articles here that help you getting through this difficult time. Click on the links below to read the articles. How can you get PEACE OF MIND, control, power and influence really quickly, whilst your loved one is critically ill in Intensive Care? 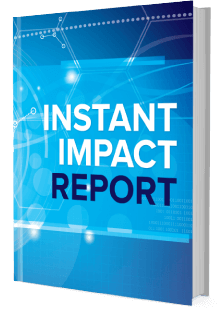 You’ll get to that all important feeling of power, control and influence when you download your FREE “INSTANT IMPACT” report NOW by entering your email below! In Your FREE “INSTANT IMPACT” report you’ll learn quickly how to get real power and real control and how you can influence decision making fast, whilst your loved one is critically ill in Intensive Care! Our FREE reports help you with in-depth insight that you must know whilst your loved one is critically ill or is dying in Intensive Care! 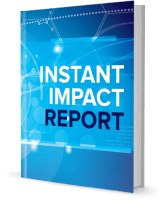 Sign up for your FREE membership and download your FREE “INSTANT IMPACT” REPORT now! Make sure you also check out our “YOUR QUESTIONS ANSWERED” section where we answer your questions or send me an email to [email protected]ivecarehotline.com with your questions! Why are Intensive Care staff often relaxed when the Alarm bells go off on the Monitor or ventilator? What is the prognosis after my critically ill loved one’s brain has not had sufficient oxygen supply(hypoxic brain injury)? What are normal visiting hours in Intensive Care? How many blood tests should my critically ill loved one have in Intensive Care per day?